Apple Watch Series 3 38mm Gold Aluminium Case with Pink Sand Sport Band (GPS …. Condition is Used. Dispatched with Royal Mail 1st Class Large Letter. Perfect condition, my girlfriend only wore it a few times. 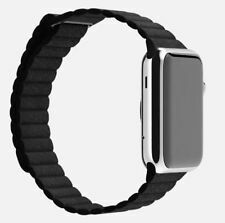 Apple Watch Series 2 42mm Space Grey Aluminium Case Black Sport Band - (MP062B/…. Condition is Used. Dispatched with Royal Mail 1st Class. Apple Watch Series 1 42mm Space Grey Aluminium Case Black Sport Band A great watch which I would highly recommend, only selling as I was bought the series 4 watch as a present. The watch has been fully impaired and is ready to be paired to a new iPhone and apple account. Some minor wear on the watch as seen in the photos but not noticeable unless unless specifically looked for. Dispatched with Royal Mail 1st Class. 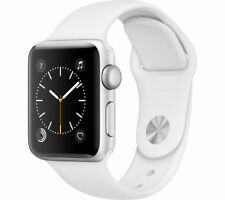 Apple watch Sport (1st gen) 42mm space grey. Condition is Used. Apple Watch Series 4 44 mm Space Grey Aluminum Case with Black Sport Band (GPS). Condition is New. Only been used 3 weeks. Selling due to it was a birthday gift and I can’t get hang of it. Im not a smartwatch type person. So selling as i wont b needing it anymore. It was bought £429 original price READ DESCRIPTION BEFORE BUYING. I don’t want any faults or complaints about item. As I described its New perfect condition not a single dent or mark on it. Dispatched with Royal Mail 2nd Class. Large OLED Display Smart Reminder Type: Smart Band 3. 1 Bracelet Body. The unlock function is supported for the device with smart lock function, running Android 4.4 and above MIUI system, Android 5.0 and above system. This requires you to have an active plan with EE or Vodafone in the UK. 4G LTE and UMTS. Ceramic and sapphire crystal back (centre). Monitor your health. And stay connected to the people and information you care about. Apple Watch Series 1 38mm Rose Gold Aluminium Case Pink Sand Sport Band - Excellent condition, worn only a few times. No scratches or marks to screen, casing or back. Strap in perfect condition. Boxed with all instructions and the extra m/l band. With original charger and plug. This really is ‘as new’ condition. Samsung galaxy watch 42mm rose gold. Dispatched with Royal Mail 1st Class. Only taken out of box to view. Apple Watch Series 4 is not only the most impressive Apple Watch yet, but is comfortably the most fully featured smartwatch I have ever tested. It’s Apple’s best, most thought-out release in years. APPLE WATCH 4 44mm SPACE GREY 4 MONTHS OLD - WARRANTY. Samsung Gear Fit 2 (Large) GPS Sports Band - Black SM-R360. Condition is Used. Dispatched with Royal Mail 2nd Class. Apple Watch Series 2 - 38mm - Space Grey - Nike Edition - Boxed. Condition is Used. Dispatched with Royal Mail 1st Class. 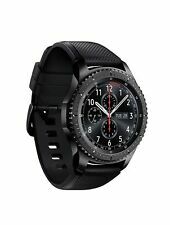 Make phone calls and texts without being tethered to a smartphone with the unlocked, black Samsung Gear S SM-R750 wrist-worn watch featuring a 2" touchscreen Super AMOLED display. 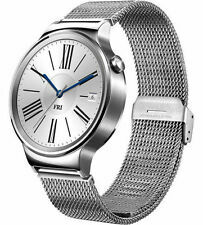 The Gear S incorporates a GSM 3G/2G modem that allows it to make and receive phone calls as well as download data independently without being paired to a phone. apple watch. Condition is Used. Only been worn a few times. Brand new condition 42mm face. Black strap. Box and papers included. 100% genuine. Dispatched with Royal Mail 1st Class. Samsung Gear Fit2 Pro (Small) Aluminum Case with Classic Buckle, Black -.... Condition is Used. Dispatched with Royal Mail 2nd Class. Iwatch Series 2. Condition is Used. Dispatched with Royal Mail 1st Class. My Kronoz Smart Watch, Unused. Unwanted gift. Apple Watch 42mm Space Grey Aluminum Case Anthracite.